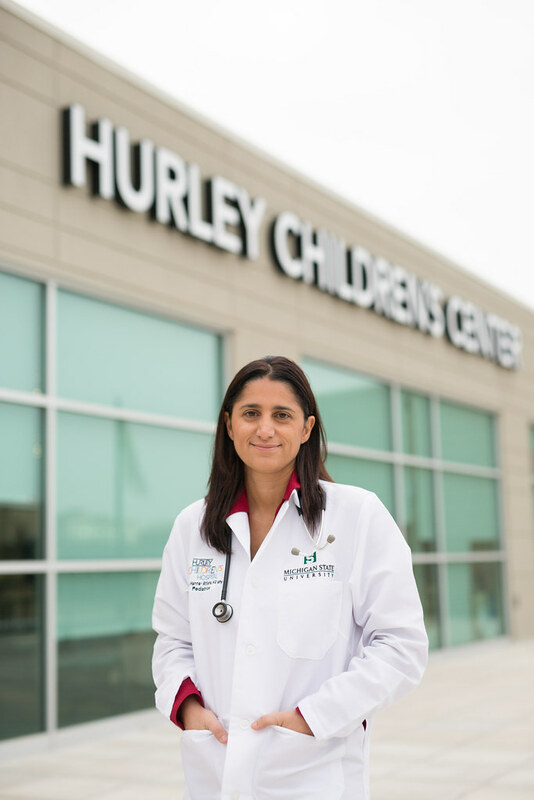 A photo of Dr. Mona (she goes by her first name) outside Hurley Children’s Center in Flint. My camera brings me across some incredible personalities. 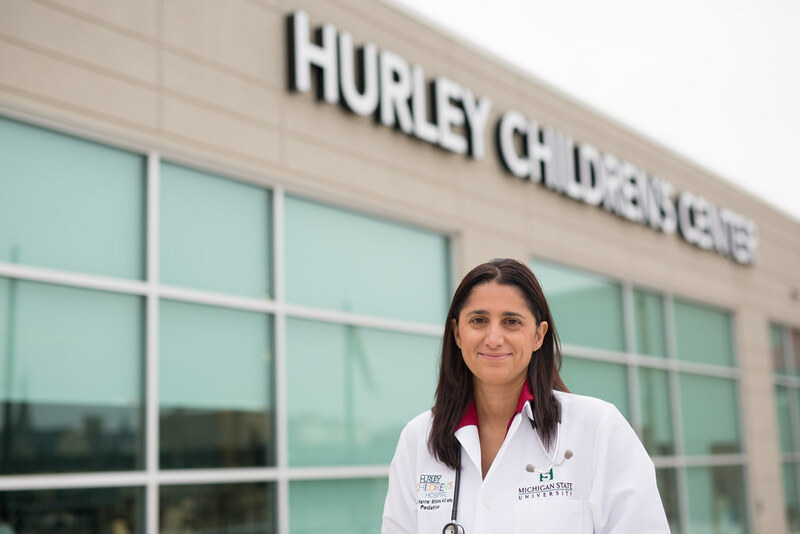 Dr. Mona Hanna-Attisha’s name is synonymous with “Flint Water Crisis”—her research blew the lid off the lead poisoning of thousands of people in Flint. She has been interviewed on CNN about her work, written for the New York Times, and most recently named one of the Time’s 2016 100 most influential people. A few weeks after her research findings were announced, I was asked to go to Flint to photograph her for an Inspirational Woman of the Year Award. 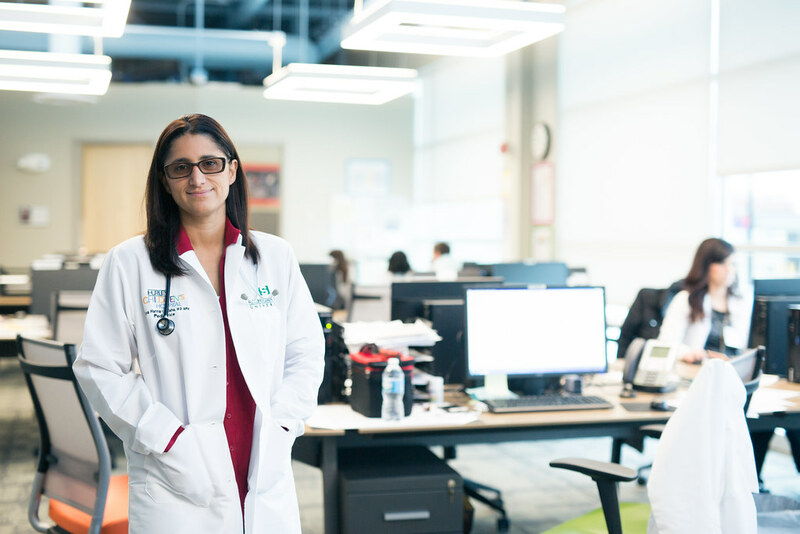 Before arriving, I knew I would have just a few minutes with Dr. Mona. However, as soon as I shook her hand, I felt a sense of calm. I’m grateful for her time spent taking portraits amidst a day of her clinical obligations. Sometimes, I have a very small window to tell someone’s story. In the little bit of time we had together, these photos were my impression of Dr. Mona.